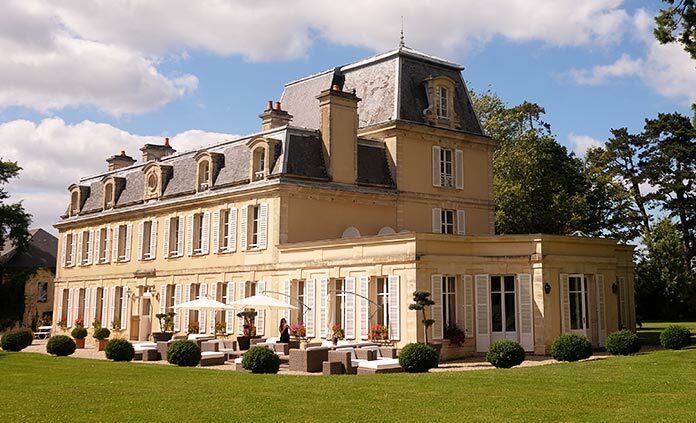 Whether it's an elegant Premiere Hotel set in a former royal château or a welcoming Casual Hotel renowned for its unmatched mountain views or a serene lakeside campground with a private beach for swimming, our team of Trip Designers and Trip Experts makes sure you stay at the ideal places to experience the best of each region. Stay in the very best hotels offering gracious hospitality, 5-star service, exquisite cuisine and cultural flair. Our version of premiere means staying in the world's highest reviewed and top-rated hotels. From critically acclaimed alliances such as Relais & Châteaux to boutique hotels praised by the Hideaway Report, we've selected the very best. We book our Premiere Hotels—and our favorite rooms—long in advance, offering you unparalleled access. A memorable stay goes beyond the room, ambience and linens. It's about the company, conversations and, of course, the food. From L'Auberge de l'Ill in Alsace, with its well-earned three Michelin stars, to Michelin-rated Solbar restaurant in Napa Valley, where fine vintages are paired with inspired creations—we choose the finest culinary experiences to cap off an active day. Kick back in scenic and comfortable hotels set at the doorstep of all your Backroads activities. Forego elaborate amenities for the splendor of epic locales. Whether you're in a Canadian lodge with glorious views or a historic Tuscan abode among the vineyards, you'll find that we always uncover the ideal places to relax and absorb the region's spirit. However you choose to travel, you'll enjoy the same high-caliber Backroads experience on our trips with Casual Hotels. Easy conversation, welcoming hosts, delicious food with a local spin—the best meals are the ones you don't want to end. With Backroads, you'll enjoy delectable cuisine from aromatic pesto in Italy or grilled halibut caught just a few miles up the Alaskan coast. Your host might be a young local chef one day or nonna welcoming you to her farmhouse the next. Each dining experience is unique to your location and trip. A Backroads ship experience delivers something so much more. All excursions, transport, shore-side meals, exclusive tours and more, are included in the price of your Backroads cruise. As soon as you step on shore, your Trip Leaders hit the road (or trail) with you to get the most out of each day. Our active river and ocean cruises go beyond the typical superficial tourist excursion, we deliver experiences and routes that take you deep into the heart of the region, to make it local. Whether you're up for historical or cultural wanderings, or tackling a challenging hill, we've got you covered with private vans, support and transport. Don't miss our special Danube Full Ship Celebration exclusively for Backroads guests! 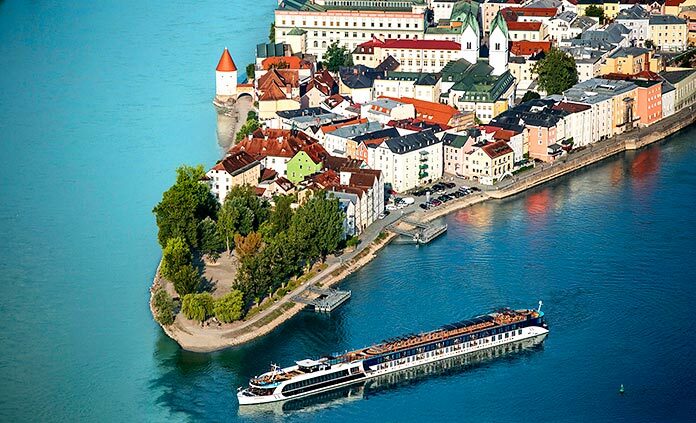 Starting in Prague, you'll sail and bike from Passau to Vienna, Bratislava and on to Budapest. All enhanced by the camaraderie of 150 or so fellow Backroads travelers! Ride along the Danube, past castles, onion-domed churches and legendary vineyards with the friendliest group of adventurers around—let the grand journey begin. 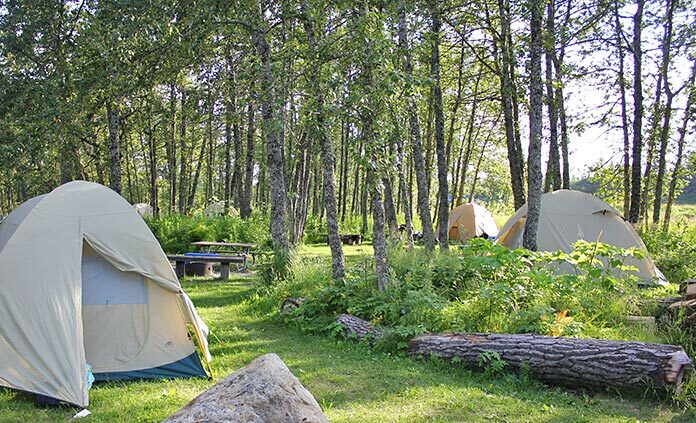 Sleep under the moonlight in spacious pre-pitched tents and enjoy fresh food by the fire, made lovingly by your Camp Chef on a Deluxe Camping Trip in the US or Canada. Backroads deluxe camping puts a whole new spin on the great outdoors. Experience the outdoors and expanse of the night sky in comfort and style—it's so much more than your childhood camping trip. Upon arrival, you'll find your dome tent set up, your luggage stowed and your plush sleeping bag ready on a raised cot with an inflatable mattress for extra padding. And your camping spot? Well, that could be in a pristine forest, beside white-water rivers or beneath craggy mountains—in the great outdoors, under the shine of the stars. Watch in awe as your Camp Chef masterfully wields a dutch oven over red-hot coals. Wake up to a mug of freshly brewed coffee, herbed frittata with whole-grain toast and pecan coffee cake. Later, arrive back at camp hungry from the day's adventures to savor fresh salads, barbequed salmon or hearty lasagna, followed by summer fruit crumble or a decadent chocolate cake. You'll never underestimate camp cooking again.